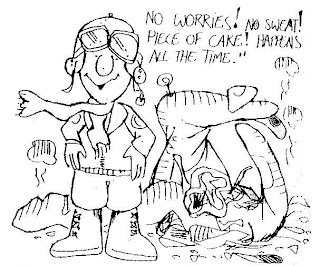 When Flightline Aviation opened Waiheke Island’s Stonyridge Airstrip to general use in November 1992 one of the first operators to use the strip was locally owned Gulf Island Air. This company was formed by George and Janet Richardson who owned the land the on which Stonyridge airstrip was situated and their Piper Pa28-180 Cherokee ZK-SNE. (c/n 28-1509). 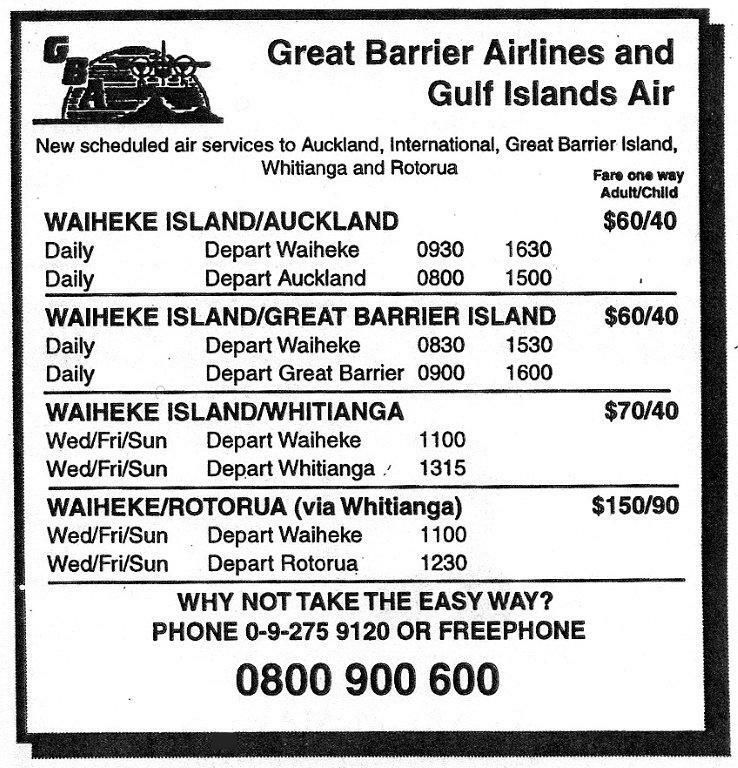 Great Barrier Airlines had found the strip was unsuitable for their aircraft and so for a time Gulf Island Air was contracted to maintain Great Barrier Airline's service to Auckland and Great Barrier Island with its four-seater Cherokee. The only time I photographed Piper Cherokee ZK-SNE was at Matamata on 20 May 1988, four years before it was used for operations with Gulf Island Air. In July 1993 Gulf Island Air added Piper Pa32-260 Cherokee 6 ZK-DDF (c/n 32-1509) to its fleet. 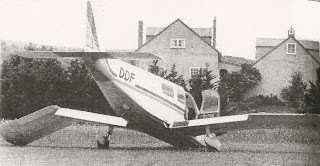 This aircraft received a STOL kit to enable it to use the short Stonyridge strip. 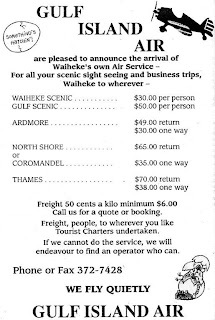 The connection with Great Barrier Airlines soon faded however the company continued to operate transfer flights to Auckland, Great Barrier Islands and other destinations in the Gulf as required in its own right. Again, before being used by Gulf Island Air, Piper Cherokee Six ZK-DDF at Tauranga on 2 February 1992. On the 30th of December 1994 the Cherokee Six had an accident while landing at Stonyridge in cross-wind conditions with a nose wheel mounting failing on touchdown. The incident sparked off a chain reaction which broke both wings, broke the propeller and damaged an exhaust pipe. The plane was returning from Auckland with a full load of fuel and three passengers. 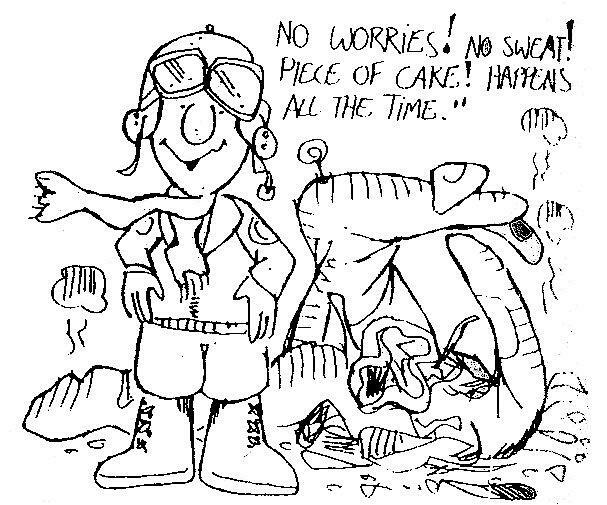 No one was hurt with George Richardson telling the Gulf News that one of the passengers had said, “It was better than his last flight in a small plane. That time he ended up upside down." In early 1997 Gulf Island Air merged with Great Barrier Airlines. 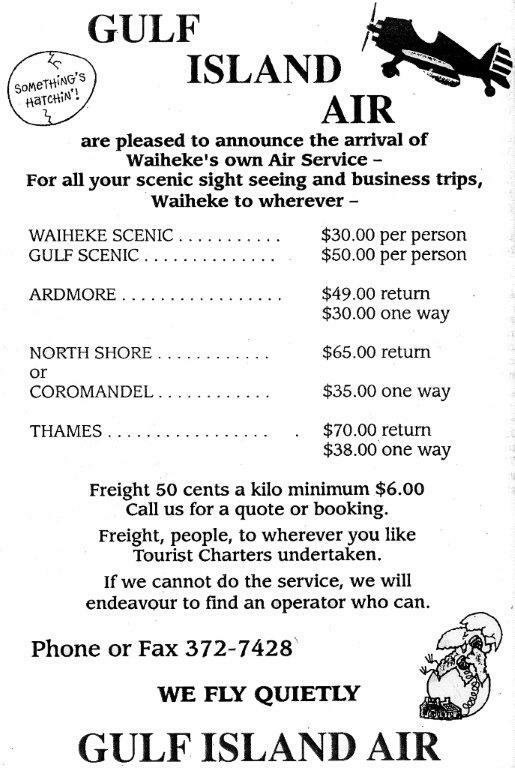 Flights were again offered by Great Barrier Airlines to and from Waiheke but once again these were short lived.